Manchester Airports Group have reviewed all of the entrants of the All About STEM & Manchester Airports Group STEM Competition and we are overjoyed to announce that they have selected The District CE Primary School as our winner! 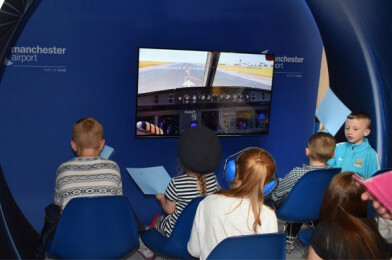 This year Manchester Airports Group are expanding their amazing STEM outreach activities even more and joined forces with All About STEM to offer one lucky Primary or Secondary group the chance to visit Manchester Airport. Our winning District CE Primary School class could try their hand at working with airport technology, role-play check in, find out how X-rays work, design their own airline or hop in the airport’s new Science Pod… they’ll have a STEM-sational day tailored specifically to their age range. A fantastic way to discover the Science of Flight! 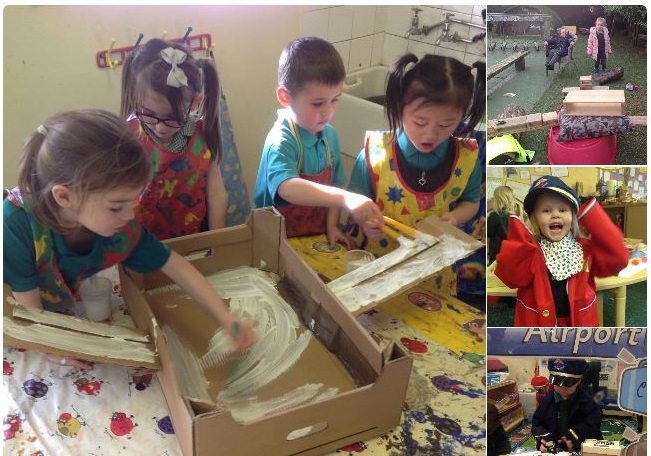 The District CE Primary School entry showed their class dressing up in flight uniforms, working in their own custom-made airport and building aircraft – fantastic! Well done and congratulations from All About STEM and Manchester Airports Group. We’ll be in touch and see you on the big day, we can’t wait! Manchester Airport Group are dedicated to promoting STEM. Along with their Secondary Dragon’s Den, Primary Apprentice Competition and workshops, they also offer a range of FREE STEM resources.